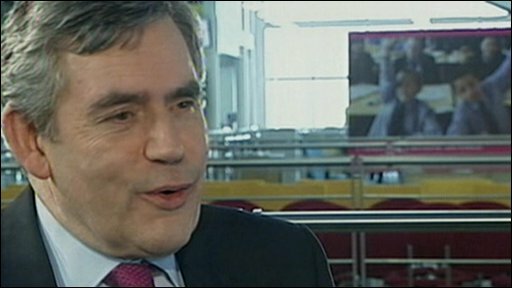 Gordon Brown does not bully staff, Lord Mandelson has said, amid reports the PM was warned about his behaviour by the head of the civil service. The business secretary told the BBC Mr Brown was "demanding of people" and himself but "doesn't bully people". The Observer said Sir Gus O'Donnell was so alarmed he had investigated claims Mr Brown's temper frightened staff. Downing Street dismissed the "malicious allegations". The Cabinet Office denied Sir Gus had asked for an investigation. Claims of staff being intimidated by abusive outbursts from Mr Brown are made in extracts from a new book by Observer chief political commentator Andrew Rawnsley. In the newspaper there are details of incidents where it is alleged Mr Brown grabbed staff by the lapels, shoved them aside and shouted at them. Number Ten sources say they have looked into the allegations and they are not true. The PM's official spokesman described them as being "totally without foundation" and a Cabinet Office spokesman added: "It is categorically not the case that the cabinet secretary asked for an investigation of the prime minister's treatment of Number 10 staff." 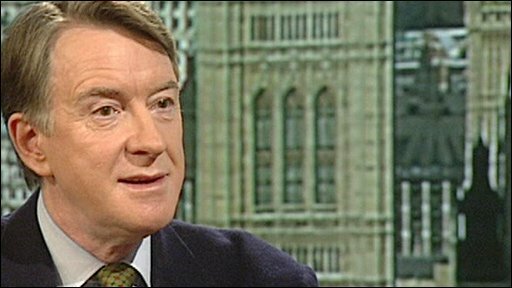 Lord Mandelson also dismissed the claims, telling BBC One's Andrew Marr Show: "They have all got books to sell, we in contrast have got a country to run and that's what we are going to get on with." He said the book showed a "man who is quite emotional, who is quite passionate in what he believes and is doing ... who gets angry but chiefly with himself, who doesn't bully people". He said Mr Brown was "very demanding of people, he's demanding of himself... He knows what he wants to do, he does not like taking no for an answer from anyone. "On the way yes, there is a degree of impatience about the man, but what would you like? Some sort of shrinking violet at the helm when we are going through such stormy waters?" Mr Brown was also supported by Commons leader Harriet Harman and Home Secretary Alan Johnson. Mr Johnson told the BBC said he had known Mr Brown for 17 years and had "never" heard him raise his voice: "I don't recognise this portrayal of him". Earlier reports had suggested the prime minister would be accused of hitting staff, but no such allegation was made in the Observer. Mr Brown told Channel 4 News things were sometimes said "in the heat of the moment", but added: "I have never hit anybody in my life." Mr Brown went on: "Of course you do get angry, mostly with yourself. But I'm very strong-willed, I'm very determined. "I think the country wants someone that will push things forward, and not allow things to be stagnant and stale, and every morning I get up with a determination to do my best for this country." 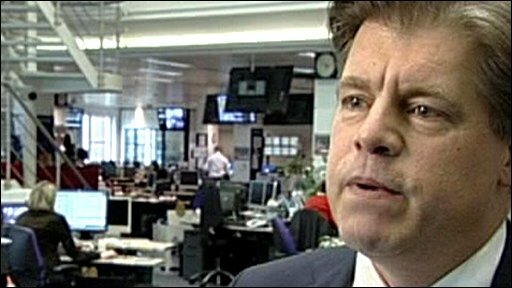 Mr Rawnsley told BBC One's The Politics Show he had never claimed Cabinet Secretary Sir Gus had launched an official inquiry but had said he had made "his own investigations" and gave "a verbal warning to the prime minister". He added: "The sourcing for that is 24 carat". In a rally for Labour activists on Saturday Mr Brown admitted he was "not perfect" - his admission follows a failed attempted coup against his leadership by two former cabinet ministers in January. Shadow foreign secretary William Hague suggested Mr Brown had not been "cut out" to be prime minister, telling Sky News: "I don't think he's ever really shown he can lead a happy team and a successful team and maybe if there's truth in any of these allegations, that's part of the reason why." A YouGov poll for the Sunday Times suggests the Conservative lead over Labour has narrowed to six points. The survey of 1,472 British adults on February 18 and 19 suggested 39% of people would vote Conservative, 33% would vote Labour and 17% would vote Lib Dem in the next general election - widely expected to be held on 6 May.